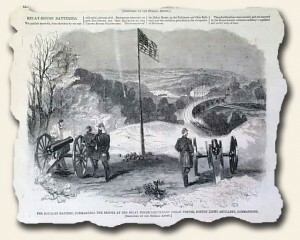 Today’s edition, June 1, 1861, has a great illustration of “Major-General Benjamin F. Butler” and a biography of him. After reading so much about him–and other military officers–it’s very nice to see prints of them. Butler appears to be an older man than I would have suspected. A full page print of the “Cabinet of the Confederate States at Montgomery” includes familiar & unfamiliar names, although if this war drags on much longer I suspect all will be familiar to us in the North. Included are their President, Jefferson Davis, and Vice President Stephens. A print of a well fortified “Fort Pulaski” in the Savannah River of Georgia is supplemented by a drawing of one of the ten inch guns within the fort–simply huge! I can only imagine the destructive power it must create. 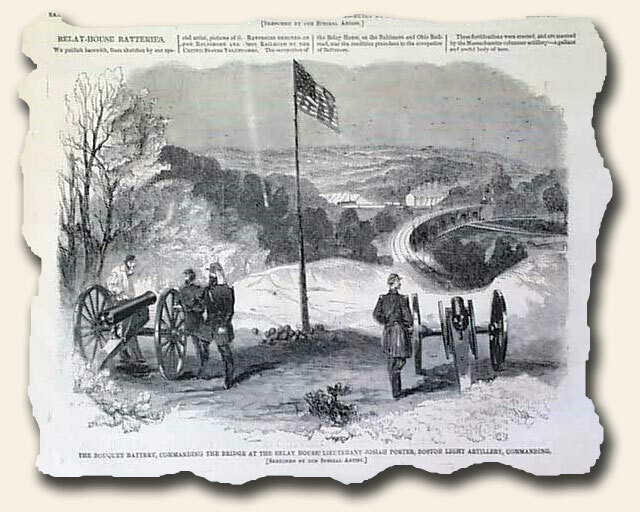 The centerfold has several prints including “The Military Occupation of Baltimore” showing an encampment at Federal Hill, plus a print of the “City of Montgomery Alabama” showing slaves cultivating in the foreground with the skyline just beyond the river. The capitol of the Confederacy must be the imposing building on the left. There is also an inset of “The White House at Montgomery”, a much smaller residence than the White House in Washington. Another print shows the Patent Office in Washington turned into a bunkhouse for troops from Rhode Island, rifles stacked at the end of the bunks. Another print shows: “Drumming out Albany Volunteers who Refused to Take the Oath”. As the article reads they are: “…stripped of their arms, a white feather stuck over each ear (because they are chicken? ), & they were marched out of the Armory grounds with the drums playing the Rogue’s March. Crowds of people assembled to see them undergo the degrading penance.” There is also a nice print of the armory at Albany. What an imposing sight, almost castle-like.